In rare instances of classic reprints, some publishers include an attached ribbon bookmark. It is a very simple way to mark where a reader left off without worrying about the bookmark falling out. Nowadays, bookmarks come in so many shapes, sizes, designs and thicknesses that it's hard to remember the elegance of a ribbon. 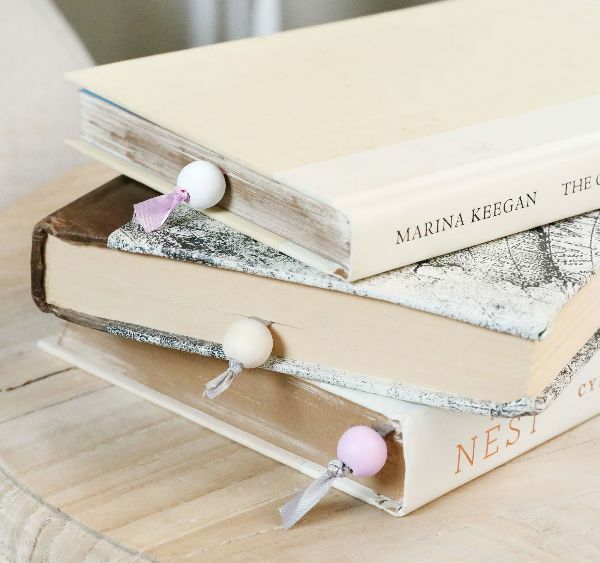 Although this craft isn't attached to the book itself, the ribbon is slightly weighted and runs the length of the tome – both of which help keep the bookmark in place. Feel free to use any paint color or ribbon type, including lace. 1. Wedge one bead on each end of the skewer or dowel. 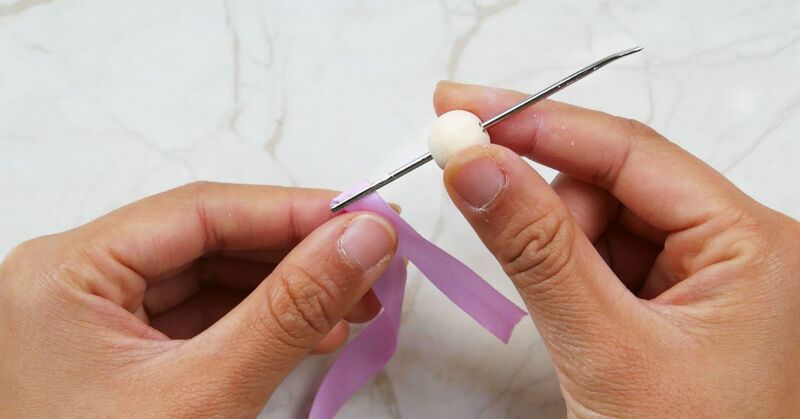 If the bead is loose, wrap some clear tape around the end of the skewer to add thickness. 2. Paint the beads any color and balance the skewer across the top of a bowl to let the beads dry. 3. Measure the height of the book with a ribbon and add 8 inches. Cut the ribbon. Tie a double knot on one end. 4. Thread one end of the ribbon through the needle’s eye. Slide one bead on the needle and down to the knot. 5. Slide the remaining bead past the needle and onto the ribbon. Remove the ribbon from the eye. 6. Hold the second bead in place and place the ribbon in the book with the bottom bead hanging off the bottom edge. Slide the second bead until it is just above the book’s top. 7. Tie a knot above the bead. Trim off excess ribbon.